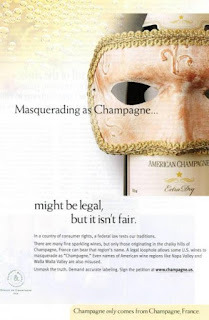 Oh I love the campaign above the French bureau of champagne issued following their loss of the trademark of the word champagne in the US as opposed to bubbly wine. 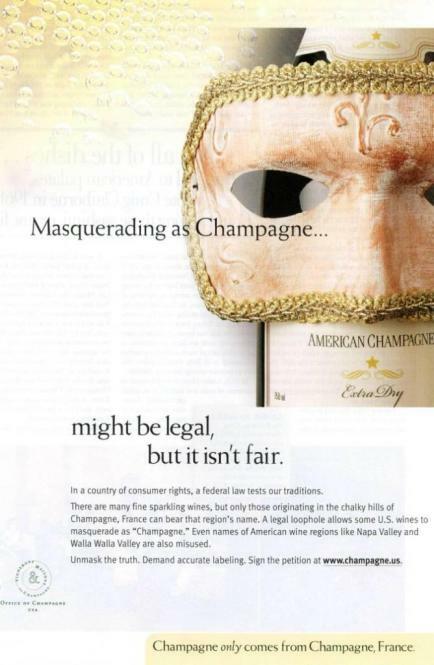 Indeed, "masquerading as champagne might be legal, but it isn't fair". Women in Lebanon, in a law dating back to 1941 (44l/r loi-reglement) are forbidden to wear two piece Bikinis or short shorts. That is legal, go tell any female shopper that it is fair and suffer the consequences. It is a good day indeed, for let us not forget, "champagne only comes from France".